Only one remaining! 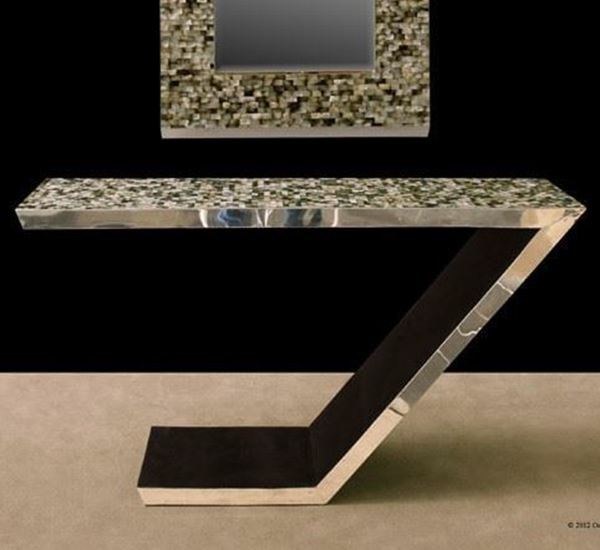 Emerald Console Table by Marquis Collection of Beverly Hills. Hand crafted using black lip seashell, black fossil stone, and stainless steel.